Customs and Border Protection (CBP) is under fire for wasting millions of taxpayer dollars. The agency gifted Accenture Federal Services a lucrative contract to streamline the hiring of thousands of Border Patrol agents. This follows President Trump's goal of increasing physical enforcement at the Southwest border. CBP gave Accenture an upfront payment of $13.6 million. The entire five-year contract totals $297 million. For this sum, Accenture promised to onboard 7,500 total new agents. That would require it to hire 1,500 of them every year. In the first year of this massive contract, Accenture hired only two agents. The Department of Homeland Security's inspector general published a report last week detailing Accenture's incompetence. To say that it is damning would be a gross understatement. Its findings exhibit everything that is wrong with the modern Beltway Bandit system of federal contractors. [I]mplementing a leading edge process and tools to improve candidate quality, reduce time to hire, and maintain CBP's direct hire authority. [I]mplementing a core recruiting and hiring technology solution to manage information and actions throughout the hiring process. For all this work, CBP agreed to pay $40,000 to Accenture for each new hire during the program's first year. Of that, 80 percent is paid only for an accepted offer. The remaining 20 percent is paid when the new agent enters duty. 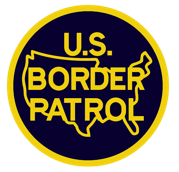 Note that a rookie border patrol agent will make $52,583 in annual salary, according to CBP. Accenture's "implementations" assured that CBP got every one agent for the price of two. The report charges that "Accenture has yet to demonstrate the efficient, innovative, and expertly run hiring process described in its PWS." It faults CBP for "not establishing metrics to assess the contractor's performance and hold the contractor accountable." Accenture relied heavily on CBP resources to complete the hiring process. ... Accenture claimed it could provide an innovative applicant tracking system to manage the hiring process. However, Accenture did not deploy its proposed applicant tracking system and used CBP's hiring system instead. ... CBP staff carried out a significant portion of the hiring operations. ... Accenture is struggling to implement the technology and tools promised to improve candidate quality and reduce time to hire. ... CBP has used significant staffing and resources to help Accenture do the job for which it was contracted. The report ends with four recommendations for CBP. All four guide CBP on how to repair the current contract and restructure its terms. None suggested severing ties with (or replacing) Accenture. There is nothing wrong with contracting out government services to consultants. It can be efficient and cost-effective if the contractor actually accomplishes its task. It can save the government time, manpower, and tax dollars. That is clearly not the case with the Accenture contract. In FY 2018, it demonstrated its incompetence at great cost to the taxpayer. It was so inept at its job that CBP, which hired Accenture in the first place, ended up just doing it for them. Their current contract with Accenture guarantees only one base year, with four option years. CBP should refuse the remaining option years and demand compensation from Accenture. The Trump administration is right to order the hiring of more border agents. Our current agents are often overworked and overwhelmed. It is clear that CBP needs to hire more of them. If CBP cannot do the job itself, it will have to contract it out. If Accenture cannot meet the goal of 7,500 hires, which it clearly cannot, CBP should find someone who can. Hiring Border Patrol agents is not a light exercise, it's a matter of national security.